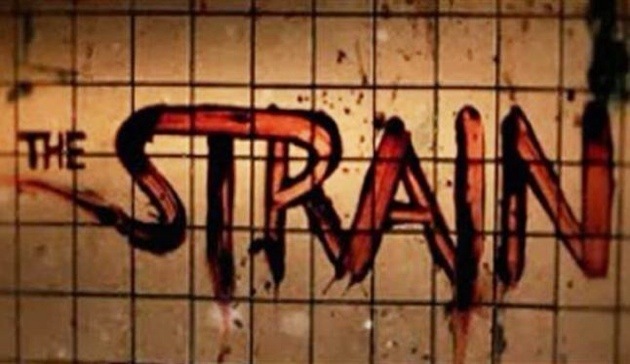 FX is delving into the cable horror comics adaptation game with Guillermo Del Toro’s The Strain. The Strain is based on a series of books by Del Toro and Chuck Hogan, which was then turned into a comic by Dark Horse in 2011. Del Toro originally envisioned this as a TV show, so it has now come full circle. A plane arrives at JFK airport, lands and powers down. With more than 200 passengers on board, epidemiologist Dr. Ephraim Goodweather of the CDC finds 4 survivors and 200 corpses. His investigation becomes more and more curious with a box that is not on the flight manifest, and the absence of blood in the remaining passengers. The Strain has one positive in that it’s not on network TV. They can get away with more. I was afraid the show was going to start out with false scares and characters I hated, but actually the story jumps right in and the characters are mostly likable. I’ve only seen the first episode, and I have not read the comic, but the pilot was smart and fast. The hour and a half run time seemed much shorter. I’ve seen a panel to screen comparison, and it seems like the showrunners are sticking with the source, which is important to me. I’m gonna watch a few more episodes before I make a final judgment, but so far, the show has staying power.